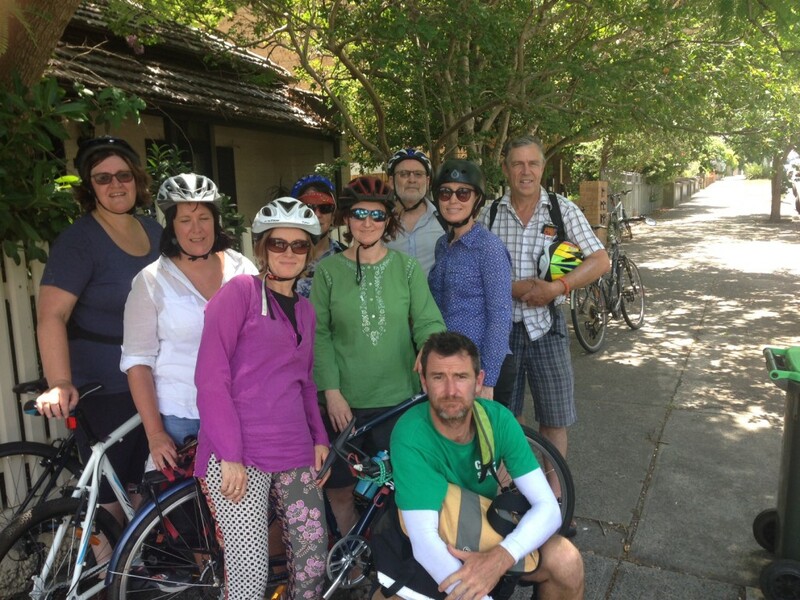 Bike rider training for adults is flourishing in the municipality of Leichhardt in Sydney’s inner west. The Rusty Rider course for those aged 25 and over turns those who are wobbly on two wheels into confident cyclists. A group of eight people stand in a straggly line with their bicycles on a tennis court, listening to their instructor. Some of them fidget and others try not to look nervous. It’s one thing to have ridden a bike as a kid, quite another to get back on one thirty, forty or even fifty years later. But within half an hour their nervousness has evaporated and the group are on their bikes smiling and having fun. It’s seems the cliché is true. Once you’ve learned to ride a bike you never forget it. ‘It’s remarkable how much people ‘remember’ once they start cycling again. 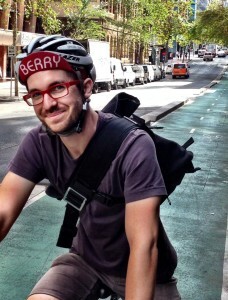 The muscle memory is there it just needs to be tapped into,’ says Rob Berry, course leader at Bikewise who runs the training for the municipality of Leichhardt. Rob says the course’s slow pace and the chance to have a laugh quickly puts people at ease. ‘People learn when they are having fun and when they are having a good time. People who haven’t ridden a bike in a long time are likely to be a bit unsteady and lacking in confidence. They are worried about controlling their bike so it’s important to keep the learning environment relaxed. ‘We do all our classes off street so there’s no pressure and we take quiet paths. We use a lot of games in the class. We’ll have slow races where the winner is the person who can cycle the slowest. We play dodgems without crashes to get them used to negotiating limited spaces. ‘At the same time we encourage people go at their own pace. Each person has to demonstrate particular skills and be confident before they progress to the next stage. We teach people how to control their bike —how to stop, start, and use gears effectively. But we take it one step at a time. ‘As people’s confidence increases we incorporate more real life drills into our teaching. For example, we learn how to negotiate space with pedestrians and ride skilfully at slower speeds so people develop better balance and control. Rob’s taught hundreds of classes and over a thousand rusty riders aged from 25 to 75 in Sydney over the past 7 years. Rob says the profile of the average bike rider is changing. ‘More and more people are cycling and they are an increasingly diverse group, not just 20–40 year old male sporty types. Bike riding ticks so many boxes for people. We get people across all age groups interested in bike riding. KEN WELSH Strategic Transport Planner at Leichhardt Municipal Council says Rusty Riders began in 2014 along with several other rider training courses as part of a Council plan to improve the environment by reducing people’s car use and to encourage active transport. The idea for classes came from the Council’s ‘Share the path’ campaign, which aimed to educate pedestrians and cyclists about safe and responsible riding and walking on shared paths. The Council organised a range of bike rider training courses aimed at improving residents’ bike riding skills and confidence and dubbed them ‘Rusty Rider’ classes, with one specially designed for seniors. ‘The classes have been really popular and the seniors ones have been booked out. The feedback has been really positive.’ The Council’s target is to double the number of trips in the area between 2015–2025. Leichhardt Municipality is just one of a number of councils across Australia offering cycling training programs. 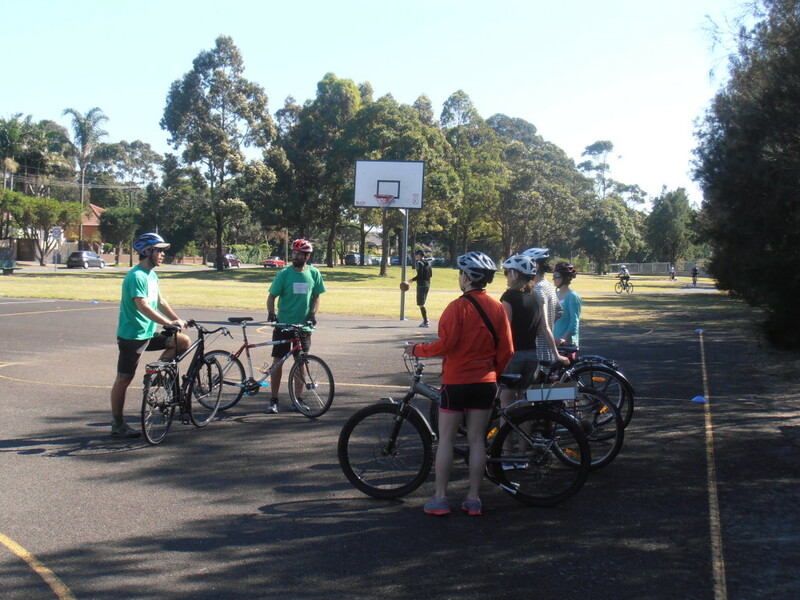 A network of Austcycle approved cycling educators offers cycling training programs to groups and individuals in a range of locations across Australia.